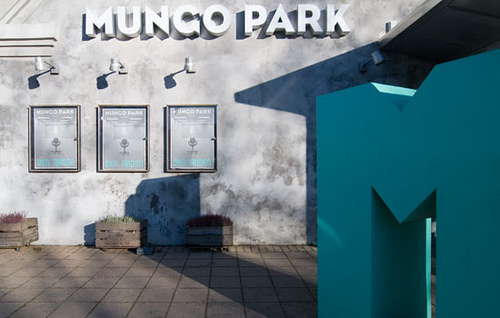 Mungo Park is a Danish repertory theatre with a dynamic ensemble of actors, directors, playwrights and scenographers. Founded in 1985, it has held an important role in the development of modern Danish theatre. Today, the company stages between 250-350 performances a year with an audience of approximately 40.000 viewers. From 2005 Martin Lyngbo was appointed Artistic Director of Mungo Park taken over by Lasse Bo Handberg in 2017. Mungo Park is situated 20 km north of Copenhagen. The repertoire consists mainly of new dramas in innovative staging. Every piece is developed through a thorough process of research, workshops, improvisations and rehearsals. The ensemble of actors are integrated in the development of every production from the earliest stages. Often the topics will be daring, literary and/or political. Besides extensive touring in Denmark, Mungo Park has the recent years developed Nordic and European collaborations, working in the areas of co-productions, stage swaps and touring. International collaboration as such is an integral part of the work of Mungo Park. Mungo Parks international work has been supported by The Bikuben Foundation, The Wilhelm Hansen Foundation and the Danish Arts Foundation.